Preserving food has always been a problem with many women. Since the introduction of dehydrators, this problem has finally been put to an end. However, with the fast development of technology, there are tons of dehydrators with dozens of size and utility. To make sure that everyone could get a basic glance about the differences between these dehydrators, I will make a small review in order to compare the pros and cons among the 3 most distinctive groups of dehydrators: simple, smart-stainless and plastic. The main advantage of this one is from the pricing perspective. Simple dehydrators have a wide range of price. You can also find a second-hand one in a flea market easily with the cheapest price. The simple type has almost all the basic functions of a standard dehydrator: removable trays and drying areas, which focus only on drying fruits and wheat products. This is a suitable option for beginners. This kind of dehydrators, however, could be a little bulky sometimes. Besides, it tends to run too hot, at a level that its temperature controls are incorrect. Additionally, with the structure of round, stacking trays, they cannot make more complicated drying foods with mix ingredients such yogurts or raised bread. On the other side, plastic type of dehydrators is very prone. In some cases, it is also reported that trays of plastic dehydrators melted and lost their shape when the temperature of the drying box get to a certain degree. This could be a major drawback especially for the use of drying meat or making jerky. Another disadvantage of these plastic machines is that they are much noisier than dehydrators made from stain. 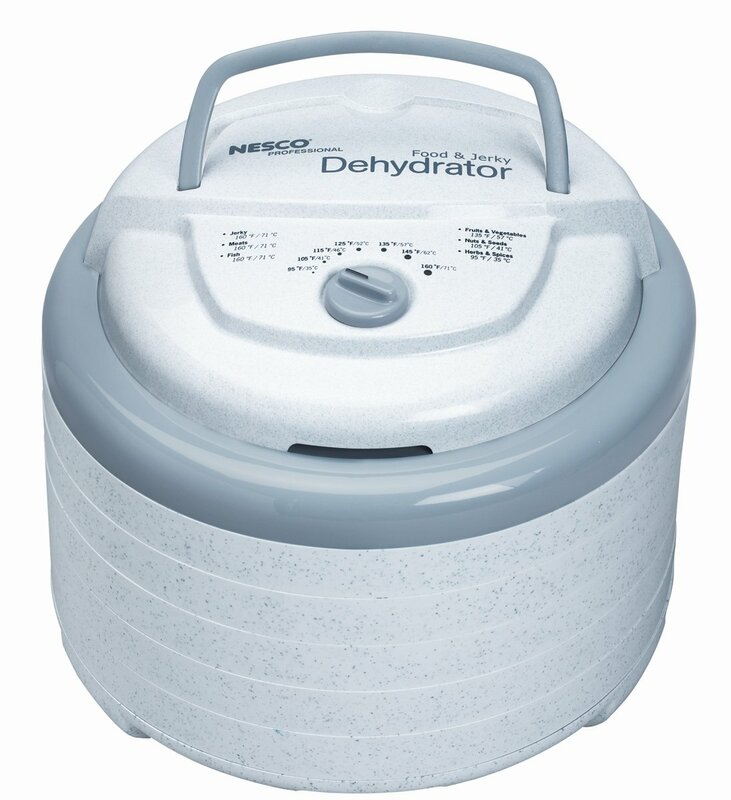 If your budget is limited, the plastic type of food dehydrator will be another perfect choice. Plastic dehydrators are equally cheap compared to simple ones and much cheaper than stainless-smart types. Another advantage of these plastic dehydrators is that it is very easy to clean. 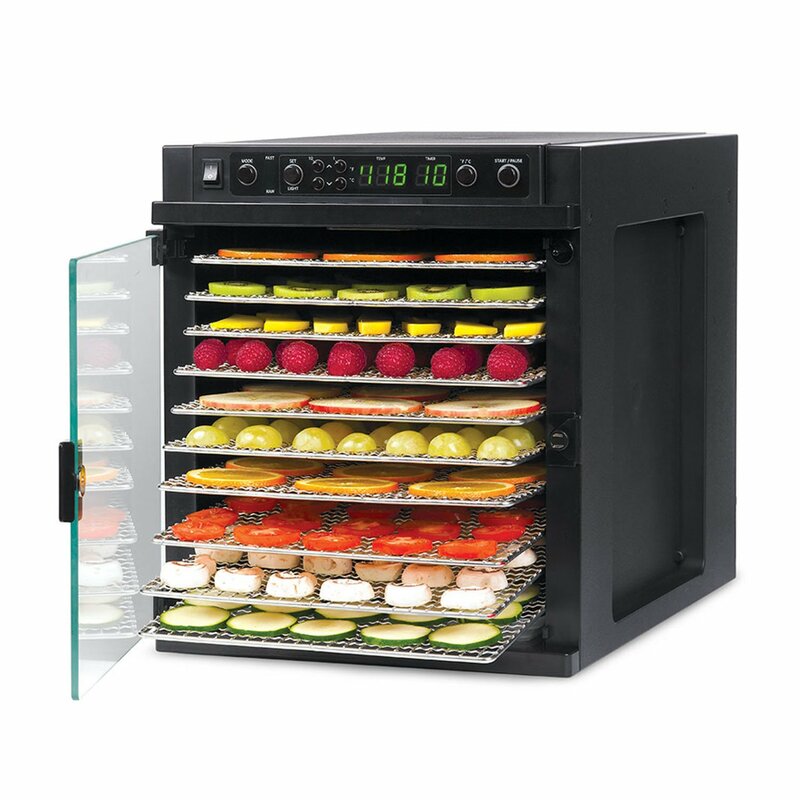 This kind of dehydrators also varies with a lot of different models. It is considered to be the most expensive and professional type of food dehydrators with the lowest price for a new one is around 250$ and the highest, 1000$. They can prepare much different food, timer function added which make the timing more exact. The temperature control also has a considerable advantage compared with the two other types. It can be implied from all the above points that this kind of dehydrators makes the best product among the three types. For those of you who have more lenient and generous budgets, or for those of you who wish to avoid plastic as much as possible, you can always invest in a stainless steel dehydrator. Stainless steel dehydrators are gorgeous pieces of equipment, and well-built. Stainless-smart dehydrators are wonderful, but expensive type.